In my observations over the years, it is clear that many negotiators want to avoid losing, win big, and come out strong. I get this. There’s a feeling of security that these words conjure; in any kind of competition where there’s a winner and a loser, people want to be the winner. Alas, it is these very thoughts that can make the most experienced negotiator susceptible to poor judgment. Based on a program of research that spans a decade, my takeaway has been to adopt a different mindset when people negotiate, by becoming a ‘prospecting’ negotiator. The concept of a prospecting negotiator refers to a fundamental shift in the negotiator’s mindset. The term ‘prospecting’ evokes images of 1800s California and the Klondike gold rushes. In each case, people set out to find their fortunes, to dig through and sieve the earth to identify what they sought—those nuggets and veins of gold. About 100,000 people uprooted themselves for each gold rush, travelling thousands of miles by land or sea to seek their fortune. By one estimate, about half of the Californian prospectors found enough gold to eke out a modest profit, although the percentage was much lower for the Klondike rush (more like 10%). Not all came out ahead, but they shared a common goal: they were looking for something better. At its core, ‘looking for better’ is not how many people might characterize their experience negotiating. They may see it more like the Californian or Yukon landscapes of yore: We don’t know where to look for gold, the terrain can be inhospitable, and the people near us serve as reminders of our worst fears about humanity (at least as the now concluded HBO show Deadwood would have us believe). However—and this is key to the prospector mindset—without proactively seeking opportunity, negotiators resign themselves to accepting the status quo without looking for more. Such is the mindset of the prospecting negotiator: a negotiator focused on opportunity, of building flexibility by seeking what it is they can do, and by developing relationships so as to further their prospects. My decade of research on this subject has led me to conclude that this is not simply a positive reframing of negotiation, or a Pollyanna outlook on a very real and difficult task. No doubt, negotiating effectively is hard work, and even our best efforts do not guarantee a deal. That noted, I have found that prospecting negotiators—those who focus on opportunity—are more likely to find better deals for themselves and, if the circumstances allow, better deals for their counterparts, too. Three simple strategies set these negotiators apart and help them excel when they bargain. They keep their eye on the prize. An important conclusion we have reached about prospecting negotiators is on the goals these negotiators set. As indicated, they are looking for better, and they are committed to getting there. Commitment and willpower are sturdy words that define a tough negotiator. However, prospecting negotiators are not simply looking to be tough, they are looking for opportunity. My research conducted with collaborators now at Columbia University, University of California, and London Business School finds that this combination is a powerful one. In one study, we measured how negotiators differed in their degree to focus on opportunity. Those with a naturally stronger commitment to opportunity did better when negotiating than those who do not. In another study, we experimentally manipulated this goal. Here, we encouraged participants to set goals, but to do so by either seeking opportunity or to prevent negative negotiation outcomes. In this study, our methods ensured that negotiators were similarly committed to the goals, but differed in what they were trying to achieve. It is here that those prospecting negotiators—who set goals on what they hoped to achieve—gained more than negotiators who sought to prevent outcomes that would be detrimental. These studies tell us that it is a combination of goal commitment and prospecting focus that led to better outcomes. Success for prospecting negotiators is flexibly defined. More recent research in collaboration with Rotman PhD student Jun Gu and post-doctoral fellow Vanessa Bohns (now at Monash University and Cornell University, respectively), took a closer look at prospecting and non-prospecting negotiators and how they defined success. A key difference in these two types emerged: Non-prospecting negotiators—individuals who focused on maintaining the status quo, avoiding loss and inhibiting threat – fixated on how well they did relative to their counterpart. For them, a win meant their counterpart had to lose, whereas a deal for both was defined by self-sacrifice, of making concessions that minimized differences between their outcomes and their counterpart’s. There may seem to be something noble about cooperation defined by self-sacrifice, but it is a pyrrhic victory; ironically, they chose to commit to a more concessionary outcome even when there were possibilities that both parties could end up with more. On top of that, there is a rigidity that this perspective brings; they either seek to win or concede, but it is not possible to do both. Our prospecting negotiators, by contrast, unlinked their outcomes from those of their counterparts, instead seeking the best outcome they could identify for themselves. Interestingly, this definition of success sometimes extended to their counterpart too, where our prospecting negotiators sought to do better for both parties. In this regard, our prospecting negotiators could eat their cake and have it too. They could win, they could cooperate, and they can do both at the same time. They Initiate and problem-solve before conceding. The third strategy we have identified is that prospecting negotiators appear to have a more versatile toolkit from which to engage their counterparts. In our own research, we have found that they seek to explore and engage their counterpart, and are more likely to initiate the first offer. Others have found prospectors to be more creative in generating solutions to problems, and this can turn out to be beneficial when bargaining, as it increases the likelihood to identify better deals for both parties. The data also bear this out. Relative to what concession-making would dictate, prospecting negotiators are more likely to agree to deals that were better for themselves and their counterparts too. 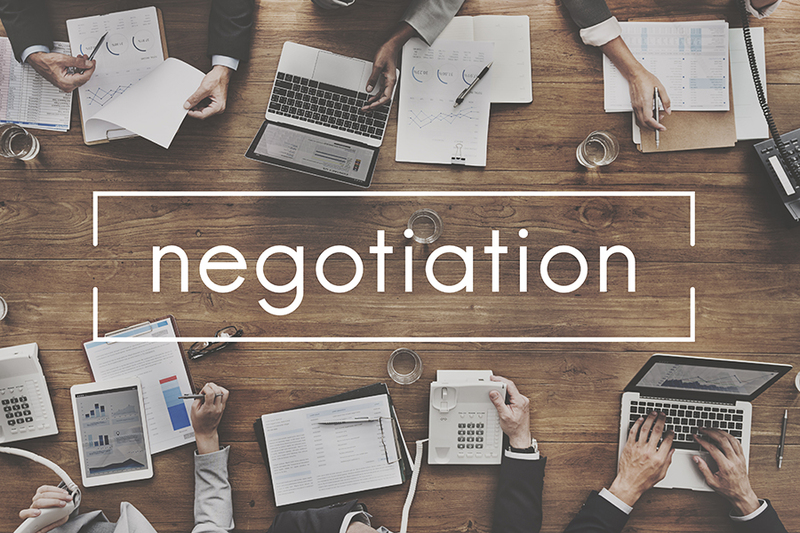 Far from seeing the negotiation as a win-lose competition, these prospecting negotiators had flexibility to build a mutually beneficial relationship when opportunities allowed, or secure a better deal for themselves when it did not. Negotiations are tough. The uncertainty and potential for conflict can at times feel insurmountable, and can create a temptation to take a protectionist approach, that is, to avoid loss, win big, and come out strong. However, the accumulating research is clear; the prospecting negotiator’s toolkit is a source of strength and flexibility, and serves to build a broader range of effectiveness in the pursuit of opportunity. Geoffrey Leonardelli is an Associate Professor of Organizational Behaviour at the Rotman School of Management. Rotman faculty research is ranked in the top ten worldwide by the Financial Times.